A recent survey by EcoBirdy found that the top 5 toys in a family’s home are made from plastic. The most popular children’s toys, which almost 90% of families with young children have, are mainly made from plastic, PP or PE, and sadly 80% of these toys only last for an average of 6 months before they break or are forgotten about, destined for landfill. In a world drowning in plastic pollution what can we do? 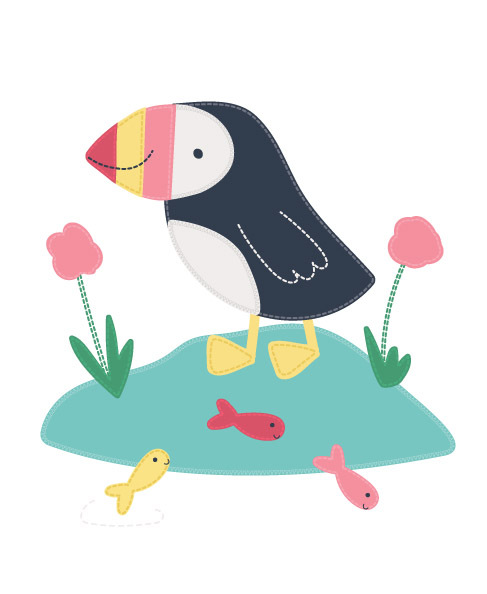 Here at Frugi we are passionate about people and the planet, our outerwear is made from 100% Recycled plastic bottles and we’re always innovating and searching for ‘planet friendly’ alternatives. We’ve created this guide to buying greener gifts for kids, from baby showers to gifts from the Grandparents to offer some fab alternatives to plastic. 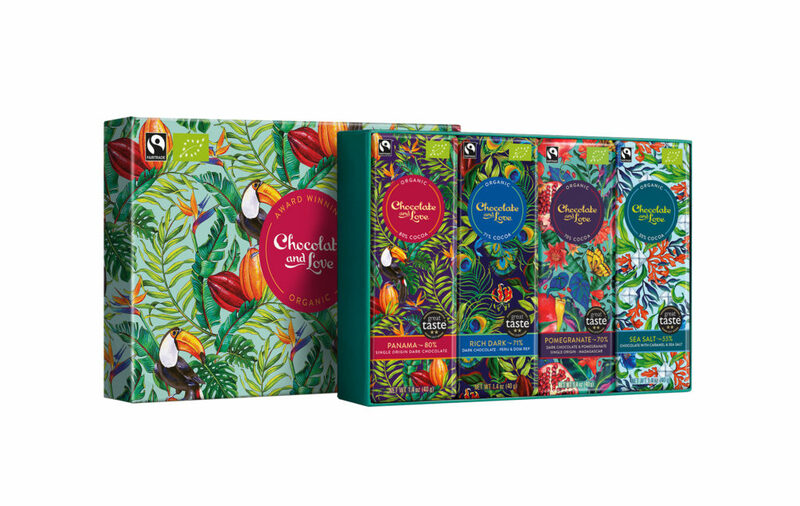 Treat mums-to be with this beautiful chocolate gift set from Chocolate and Love and do something good for the planet too. The gift set contains 4 x 40g bars; Rich Dark 71%, Panama 80%, Sea Salt 55% and Pomegranate 70%…YUM! Every aspect of the business is run as ethically as possible such as minimising shipping to cut down on fuel costs and using paper that is 100% FSC (Forest Stewardship Council) certified for their wrappers, using biodegradable silver inner wrappers produced with materials made from sustainably harvested wood and using FLO-PAK Green packing material. Chocolate and Love also supports reforestation and plant trees through weforest.org. They’ve planted 27,000 trees so far! When you have a newborn baby you’re constantly washing your hands. 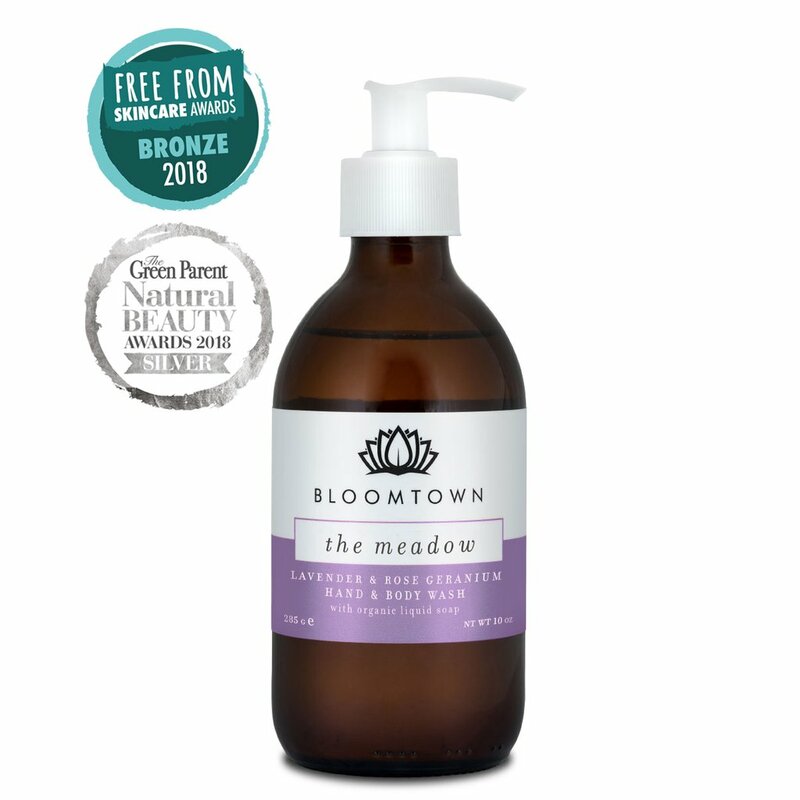 This Hand & Body Wash from Bloomtown not only smells divine but is 100% free from palm oil, SLSs, parabens and synthetic detergents! Made with nourishing coconut and olive oils and packaged in elegant, eco-friendly glass bottles, we think it makes a lovely gift for an expectant mum. Bloomtown was founded in 2016 after the founders spent two years in Indonesia and witnessing first-hand the loss of virgin forest that is home to endangered orangutans, tigers and so much of the world’s biodiversity. They decided it would be their mission to create a “ticks all the boxes” body & skincare company to offer concerned consumers truly ethical & cruelty-free alternatives. Celebrating their first birthday needn’t cost the earth! We all know they’ll probably enjoy playing with the box it comes in more than the actual gift anyway! 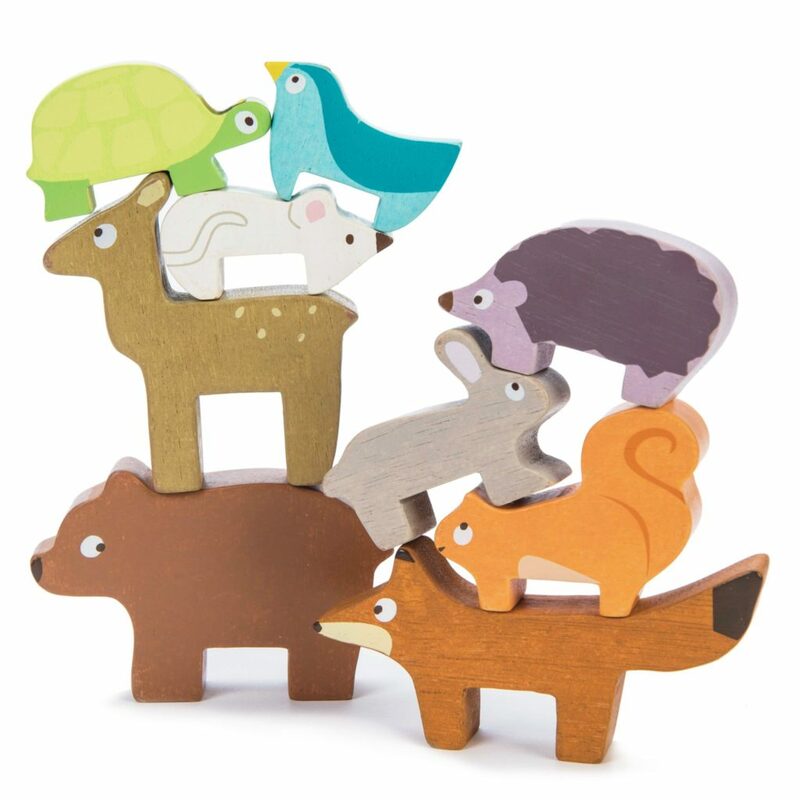 These chunky wooden animals are perfect for little hands! Stack them up and watch them tumble. Set of 9 wooden animals complete with handy draw string bag to play anywhere. The woodland animals are made of solid wood ethically made from sustainable legal wood. Safe: Water based paints. Tested for children from 12 months. 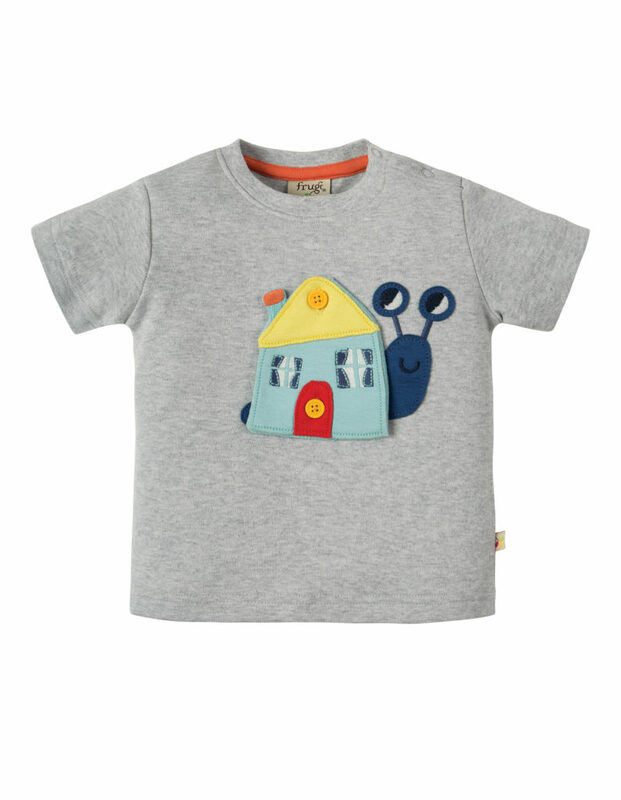 Le Toy Van are a small but big-hearted family company. They believe childhood should be enjoyed to the full. That’s why they’ve been making imaginative wooden toys, designed in Great Britain with a touch of French je ne sais quoi, since 1995. 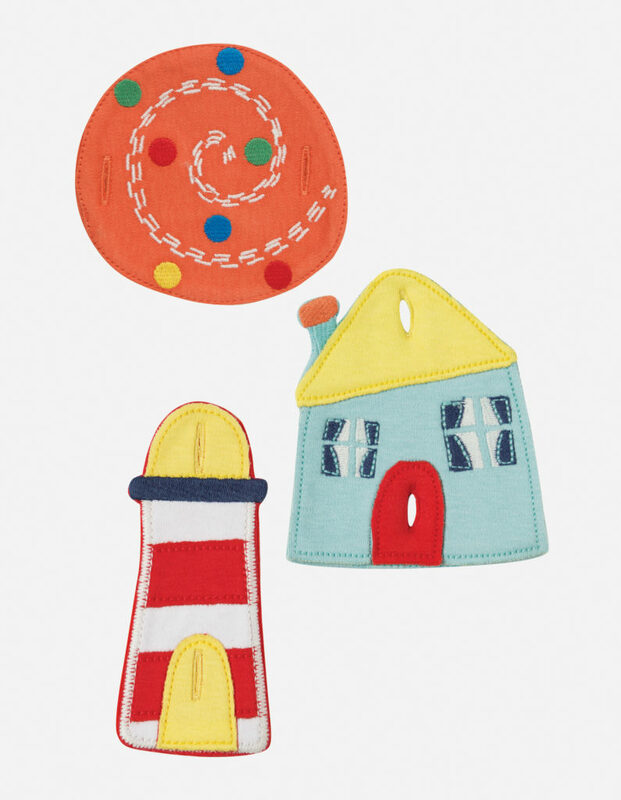 Ethically made from sustainable tactile materials, their toys encourage creative long lasting play and quickly become well-loved family favourites. Their uniquely designed, multi-award winning, hand finished toys are a true investment in play, for generations to come. Available in sizes 0-4 years. 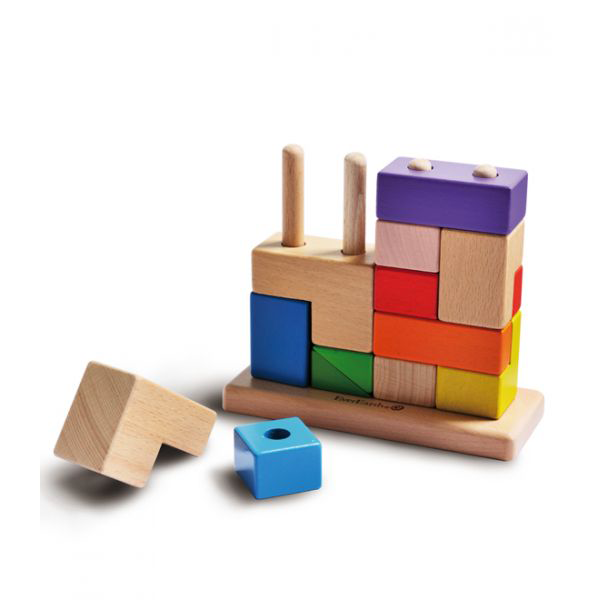 This set of colourful wooden building blocks is a fantastic addition to any children’s toy collection. A multicoloured set of 38 pieces, children can learn shapes and colours whilst using their imagination to create! Made up of 38 individual pieces and a storage bag, includes squares, triangles, semicircles, cylinders and rectangles all made from eco friendly materials Their chunky size is great for little hands – most pieces are 20mm thick. 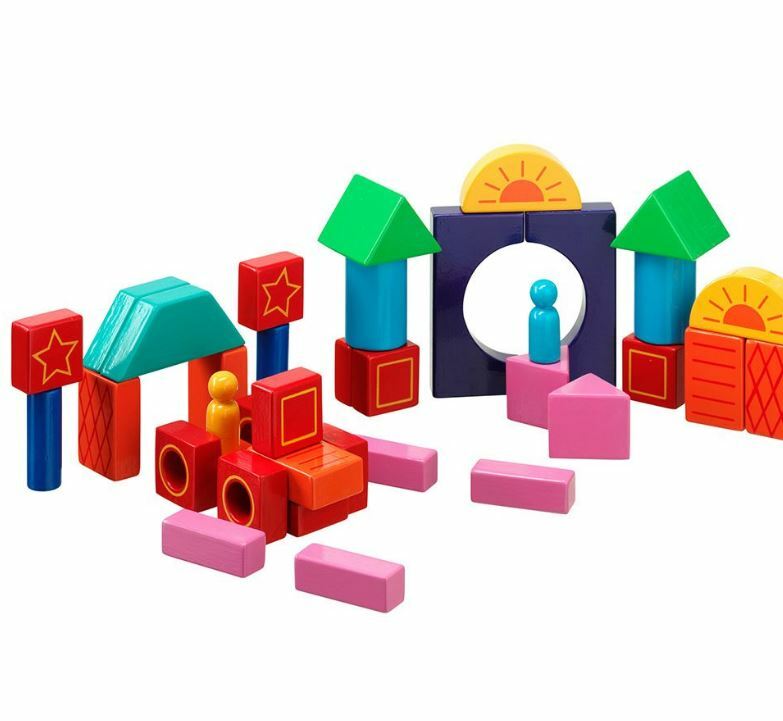 This fair trade set of colourful building blocks is handcrafted by skilled artisans in Sri Lanka from sustainably sourced rubber wood and non toxic paints. 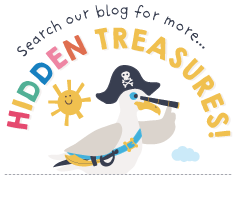 Under three’s love creative play, we’ve found three fun gifts that will help develop motor skills and hand/eye coordination. Fun for all ages, and it makes a great coffee table game All EverEarth wooden toys are produced from 100% FSC certified Beech. They only use sustainable rescources, water based paints and recycled packaging. Look past their appearance and get to the essence of these Wonky Fruits & Vegetables! 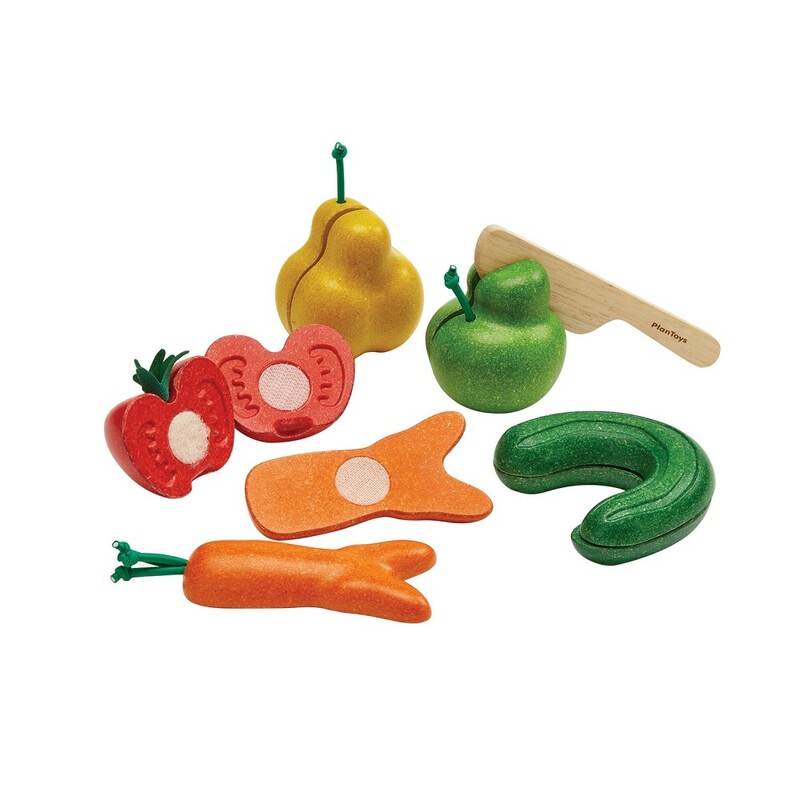 This toy teaches children to understand that the imperfect shapes do not reduce the benefits of these fruits and vegetables, and then they will learn to reduce food waste. It also helps enhance fine motor skills and hand-eye coordination. The set includes a knife and 5 slice-able fruits & vegetables: apple, pear, carrot, tomato and cucumber. We love a Wobbel board! 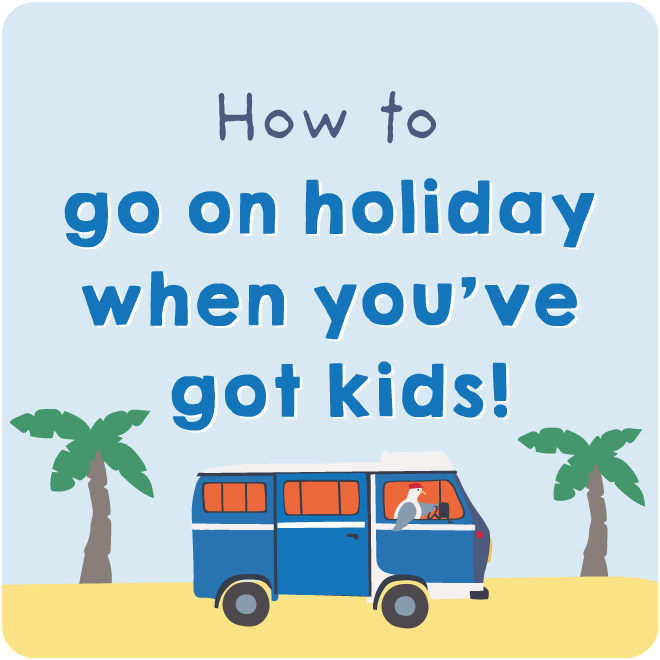 Perfect for every member of the family from age 0 upwards. With a million uses, Wobbel boards are made for creativity. balance on it, sit on it, use it for a den for your farm animals. 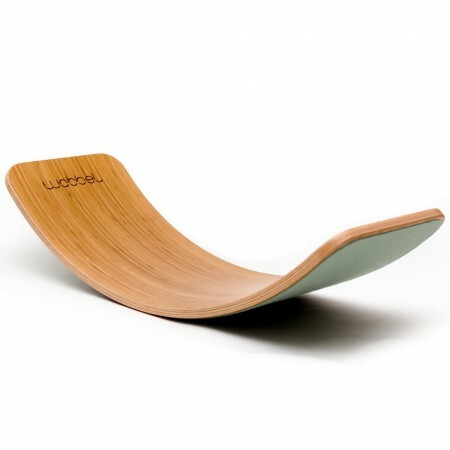 Bamboo Wobbel boards are both stylish and eco-friendly. The top and bottom layer of the board are made of side pressed, caramelised bamboo with the inner layers made from beech wood. A child friendly finish and water based translucent lacquer will help protect the board from marks and scuffs. Three year olds are fascinated by the world around them, their imagination is developing fast. 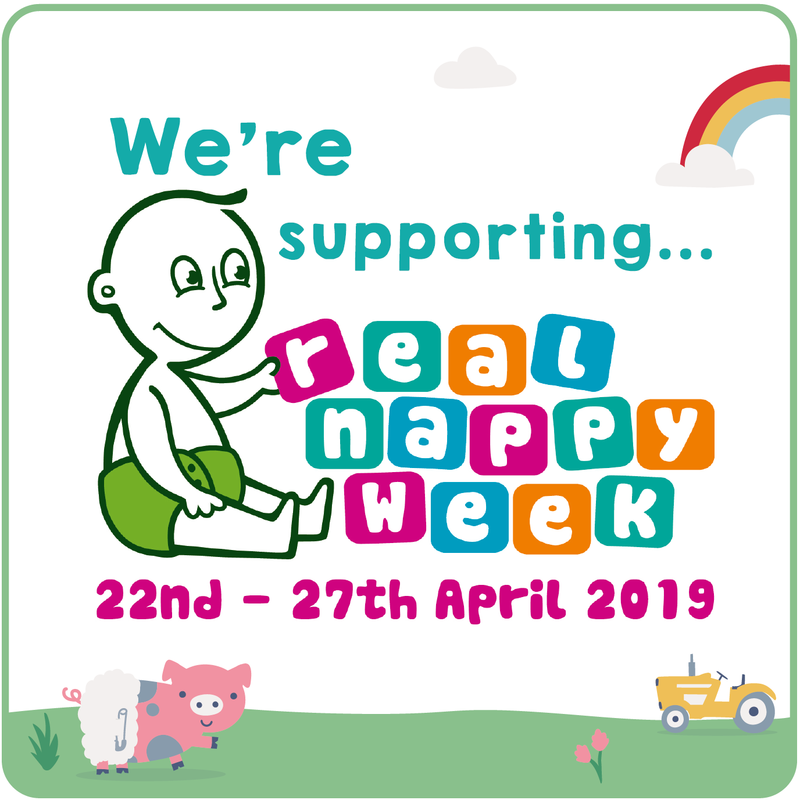 Role play and toys that allow them to copy real life scenarios will help them to express themselves and build relationships whilst having fun with friends. 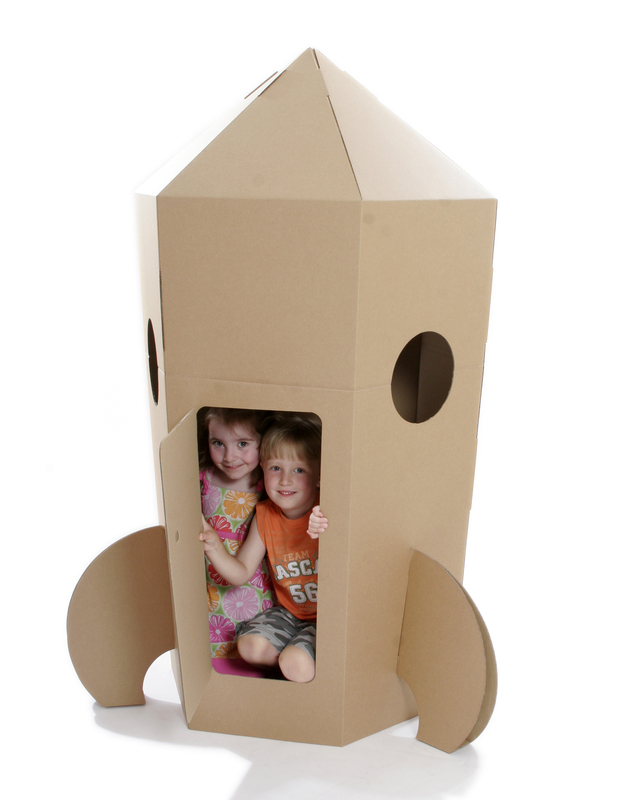 We love this space rocket from Kid-Eco! Get creative and decorate your very own spaceship inside and out, before zooming off to the moon on a space adventure! Kids will spend hours personalising their very own spaceship. They also have castles, igloos, houses and many more! Paperpod products were the brain child of Paul Martin, a well respected and award winning East Sussex product designer with over 25 years experience as a cardboard engineer. Inspiration for Paperpod products first came to Paul from seeing Christmas and birthday presents put to one side whilst his kids had hours of fun playing with the boxes. Paul went on to design an imaginative range of eco-friendly products for schools and nurseries using recycled cardboard. Intended primarily to promoting creativity and imagination, the Paperpod designs support EYFS and National curriculum recommendations, are sturdy, safe and fun. They can be decorated using paint and collage or left blank to inspire young imaginations. Paperpod products fold flat for storage, are fully recyclable and biodegradable. 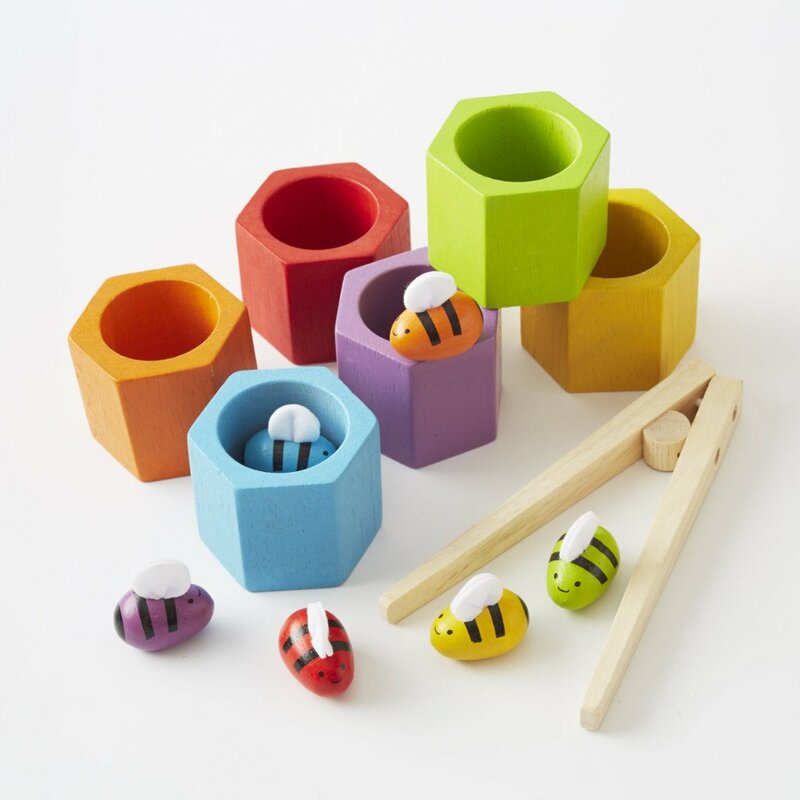 These beautiful Beehives from Plan Toys will keep little fingers busy! 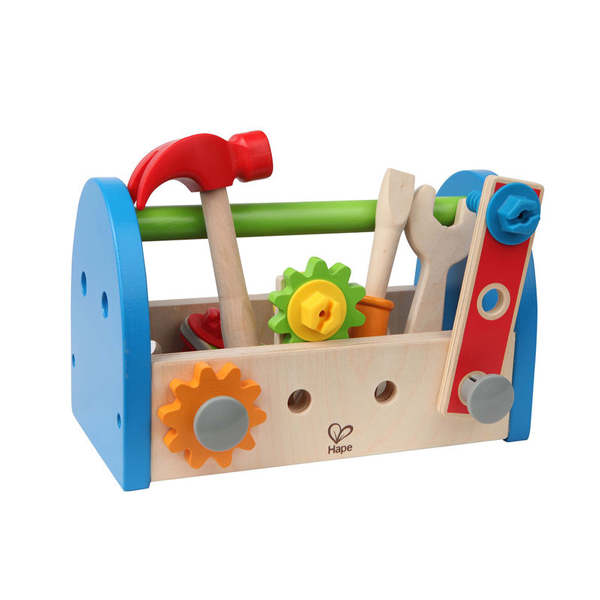 This tool kit contains Nuts, bolts and tools for your little one to tinker away! The tool box was created so that pieces could be attached on to it…hours of fun for little workers. 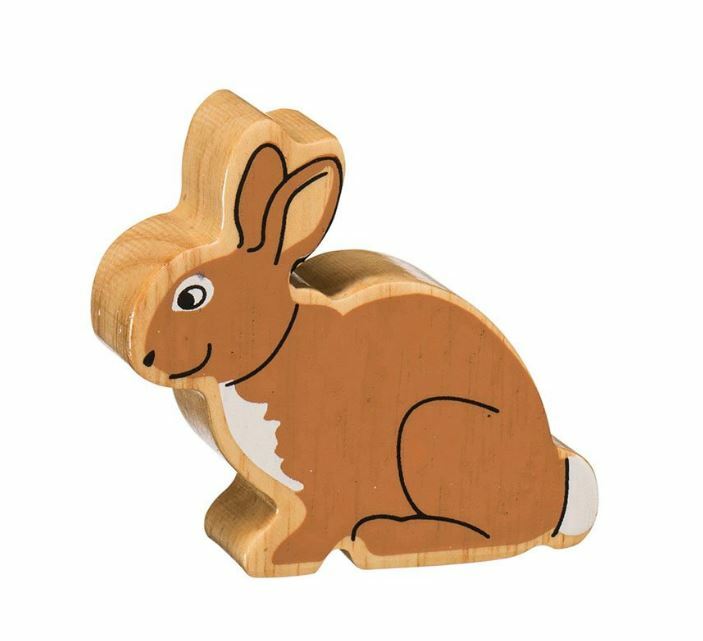 As the world’s largest producer of wooden toys, Hape is clearly dependent on the use of natural materials. Plastic parts are ensured durable enough to last for generations in order to encourage toys to be passed down rather than tossed out. Hape use packaging options that minimize environmental impact have introduced key processes to ensure that the variety of by-products produced cause minimal impact to the environment. We all know that Grandparents love to spoil their Grandchildren. If they’re looking for gift inspiration, we’ve found three eco friendly gifts that are sure to put smiles on little faces! Passes for a local museum or attraction are always a welcome gift, especially when it’s a rainy day or during the school holidays. 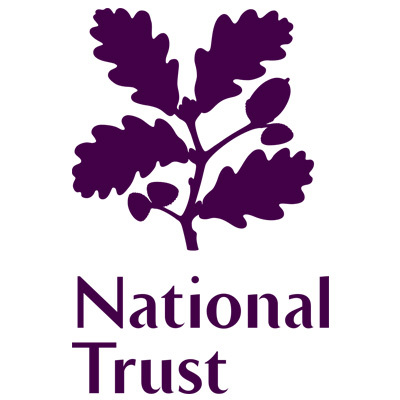 National Trust have introduced a £10 junior membership to inspire the next generation of nature and heritage lovers. Don’t forget under 5’s are free! 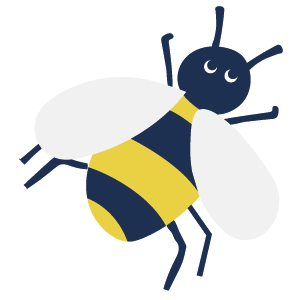 For children aged 7 and upwards we love Eco Kids Planet Magazine, the monthly magazine is jam packed with fun facts and activities, they also have a blog with fun crafting competitions and lots more! 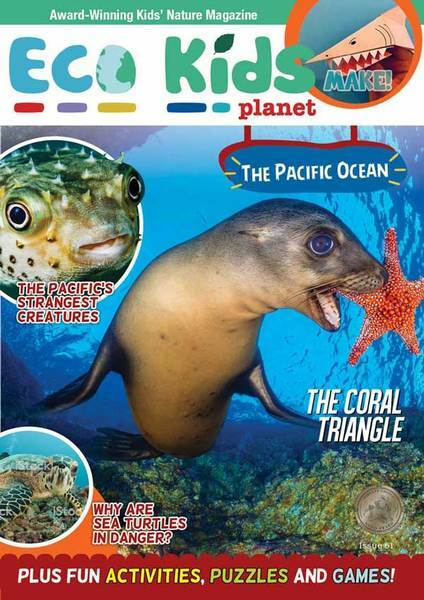 Eco Kids Planet is an award-winning nature magazine for kids aged 7-11 that is fun, educational and inspiring. Challenge and entertain their minds with gripping discoveries, inspiring projects and fun activities. Completely plastic and ads free! 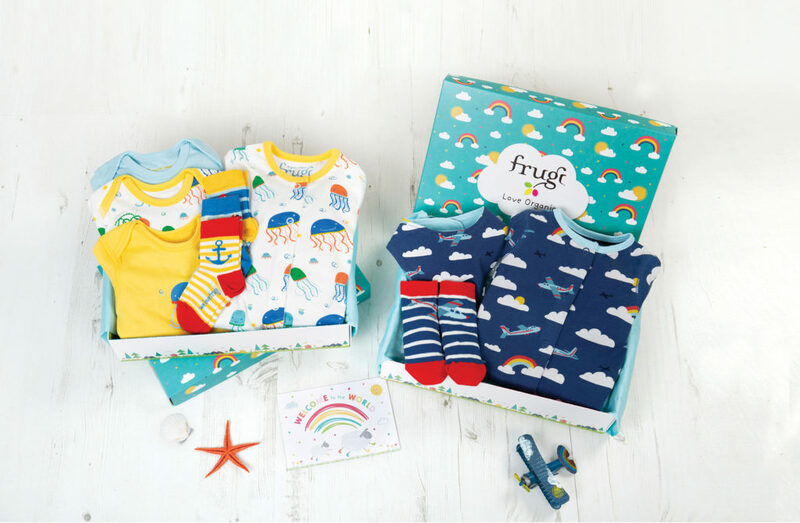 Frugi bedding makes a fab gift! 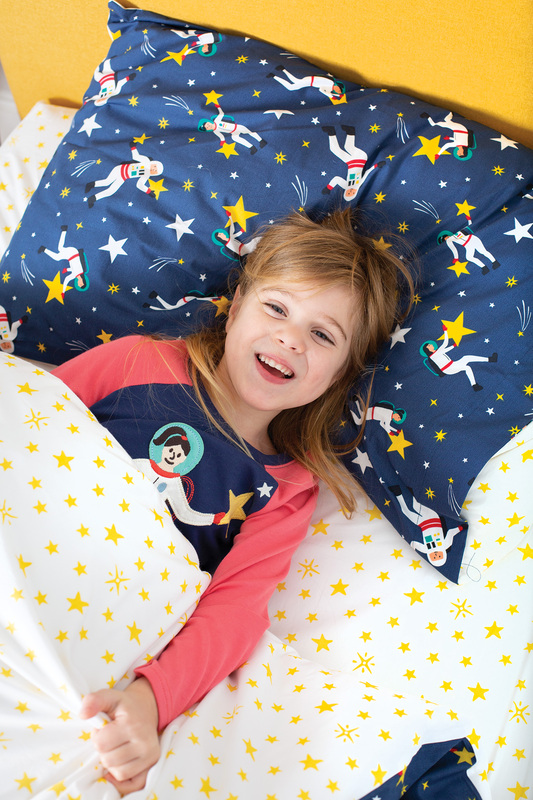 Surround your little one in super soft, chemical-free organic cotton with our reversible Cuddle-Up Cot Duvet Set! Coordinate with our matching bed sheets for the ultimate bedtime snuggles. 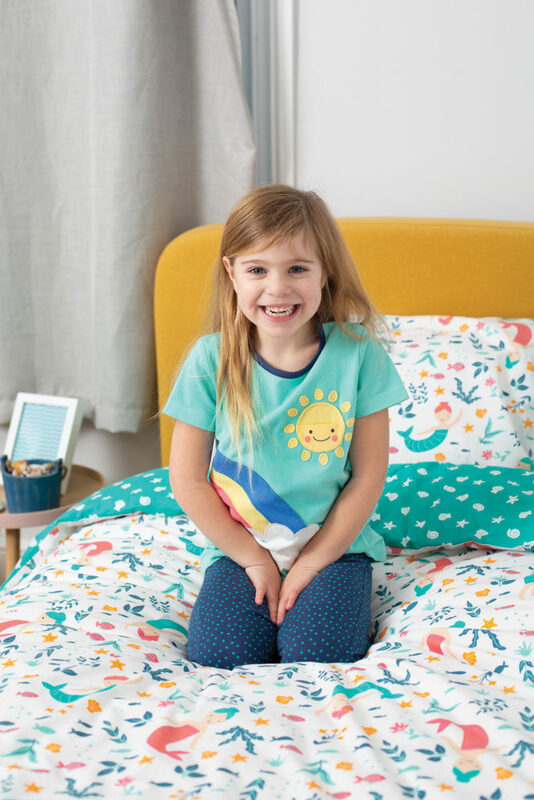 Made from 100% Organic Cotton each duvet set contains a printed duvet cover and one printed pillow cover, in a fun and colourful designs. Coloured button fastenings at the bottom of the duvet cover. Beautifully presented in its own Organic Cotton drawstring bag – perfect for keeping PJs in!